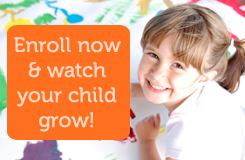 Our pre-k morning class and our 3 year old class are full, but we still have openings in the afternoon pre-k. Please contact us through this site, or call 484-7412 for more information. Enjoy your summer!